Cooksville has a long history dating back almost 200 years. It has seen many peaks and declines, and has become a very diversified area. 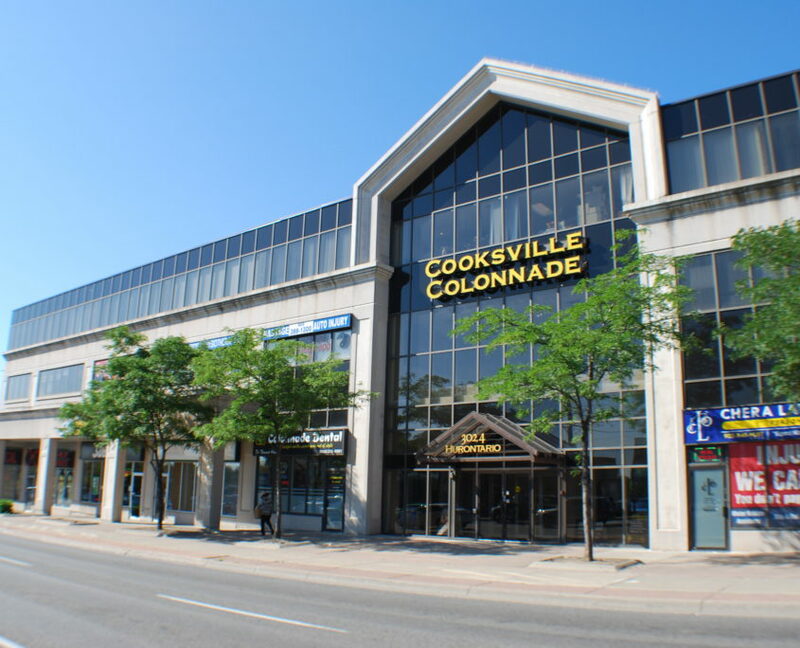 Cooksville is still recovering from the decision in the 70’s when the city of Mississauga was established and municipal activities were moved from Cooksville to what is now Mississauga City Centre. 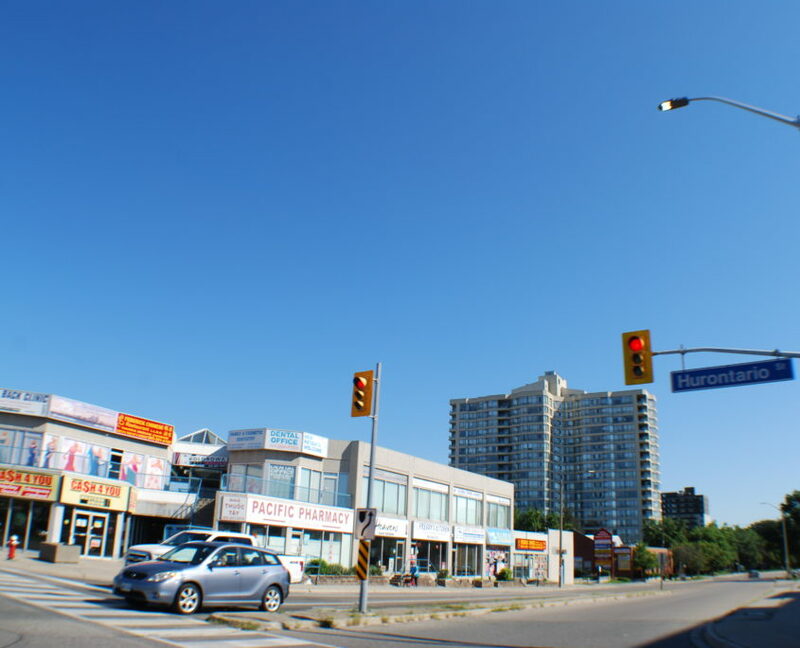 You will see the centre of Cooksville to be very urban and gritty, and planning is still ongoing to attract more upscale business. Then there are little surprises like Gordon Woods, which is arguably one of the most beautiful areas of the entire city. 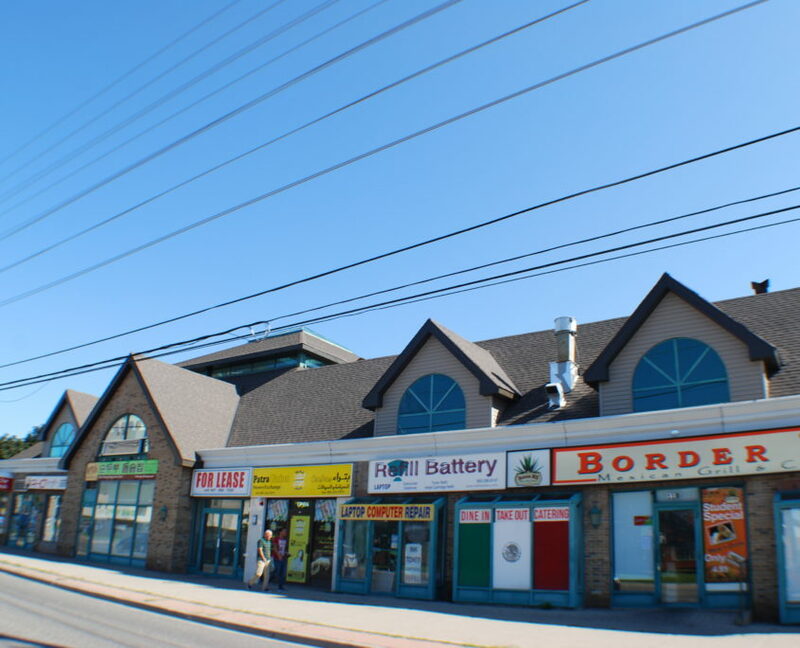 Cooksville was never suburbia, it has and history and personality of its own. Cooksville can be divided into a number of areas. First is the city core, consisting of bungalow war homes and large scale apartment developments. The other major areas include Gordon Woods, Paisley and Clay Hill. These areas are the more desirable, family friendly developments. Average family income varies widely, with some of Mississauga’s lowest income households living in close vicinity some of Mississauga’s highest. Real Estate prices vary greatly and you can get a large affordable apartment condo to a large family home. In Gordon Woods, be prepared to pay 7 figures and upwards for a custom home on a prime lot. There is a vast variety of residents, who are divided by income level more than cultural background. There are many families who live here, as there are affordable apartment flats in the core, semi-detached and simple family homes in Paisley and Clayhill. 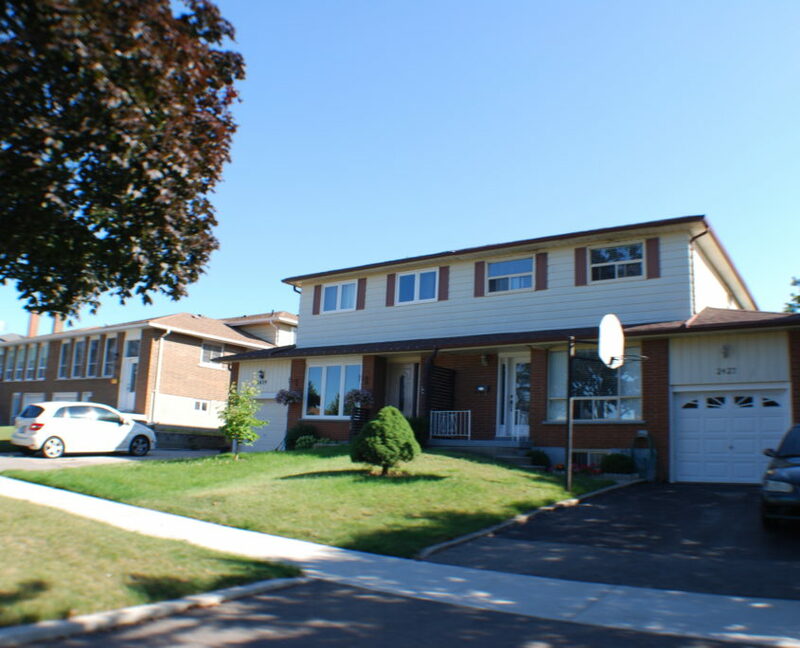 Gordon Woods has many large family homes as well as custom builds, though they are outside the average family’s budget. 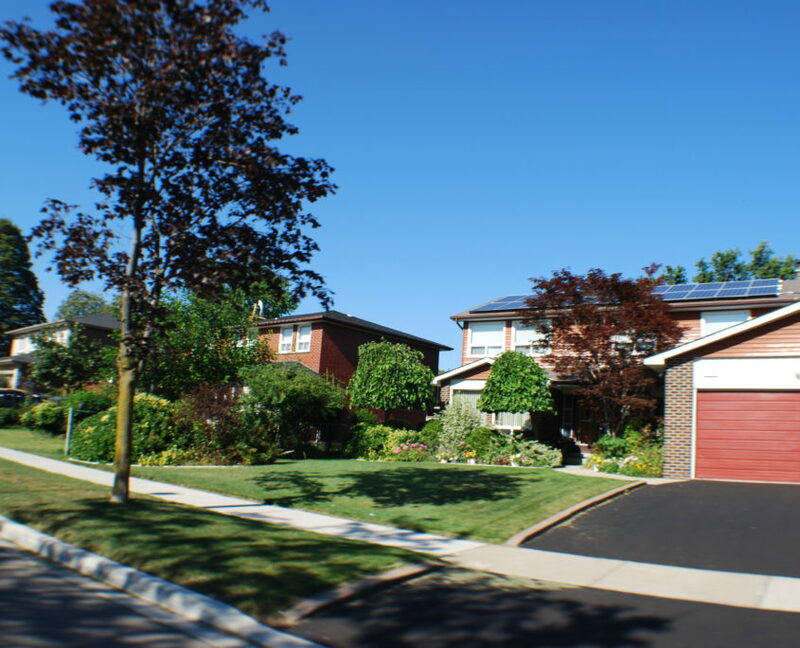 Homes in Cooksville are a diverse mix, the core of the village contains a very urban mix of rental apartments and condo’s, where the more secluded areas of Gordon Woods offer large family and executive homes on large lots. There are many condo’s that range in age from 20-50 years old. Hig hrise condos are concentrated in 2 clusters, first being at Hurontatio and Dundas and the second being further south near the Mississauga Hospital. 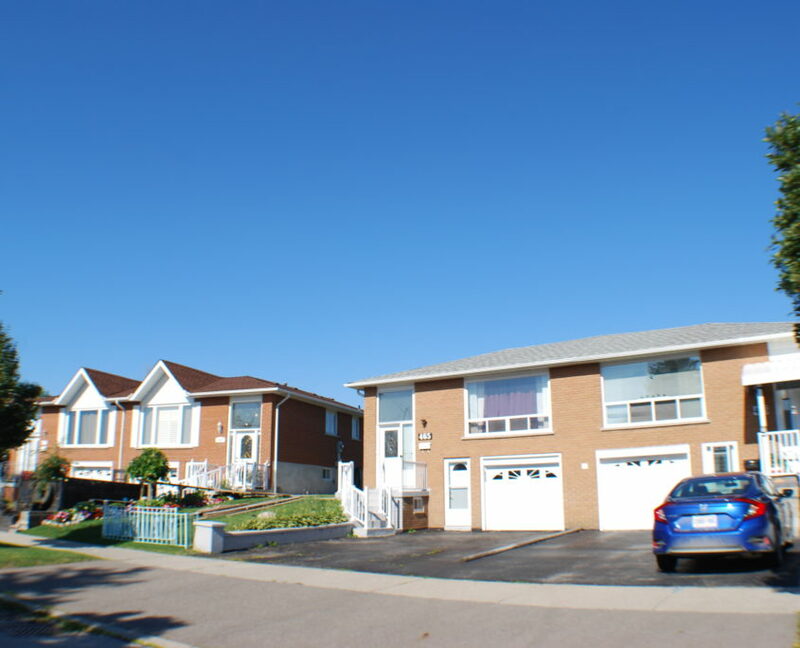 Many of the condos in the area are large and there are even 3 bed units available in some of the buildings. If home ownership is a goal, this is a very affordable way to step on the property ladder. 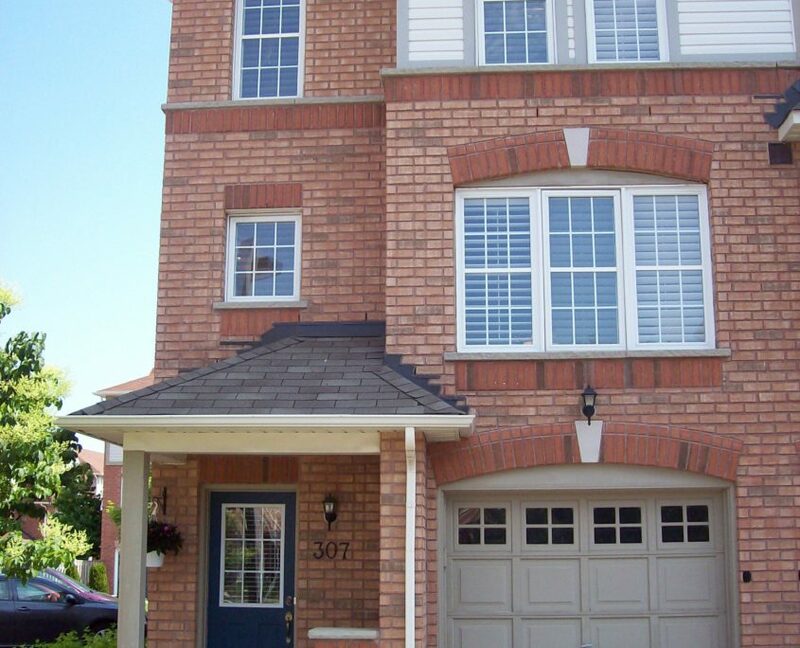 There are a number of town house complexes spread throughout the community and the ages range greatly. 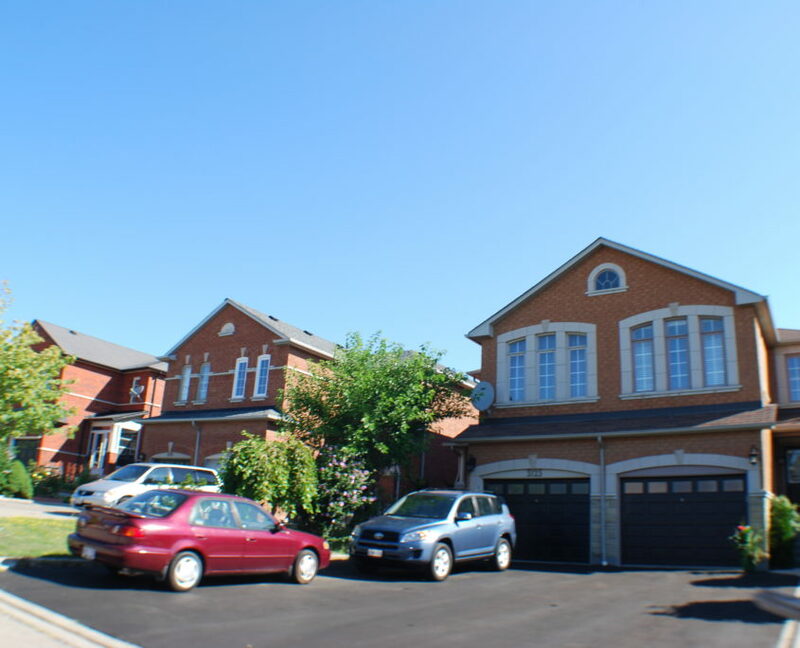 For buyers looking for a newer property, there is a high concentration of stacked town homes built in the early 2000’s in the Clayhill section of Cooksville. Many of the homes have a second or side entrance, with in-law suites. The proposed changes to legalize basement apartments could have a strong impact in this area should the changes pass. Something to keep an eye on. 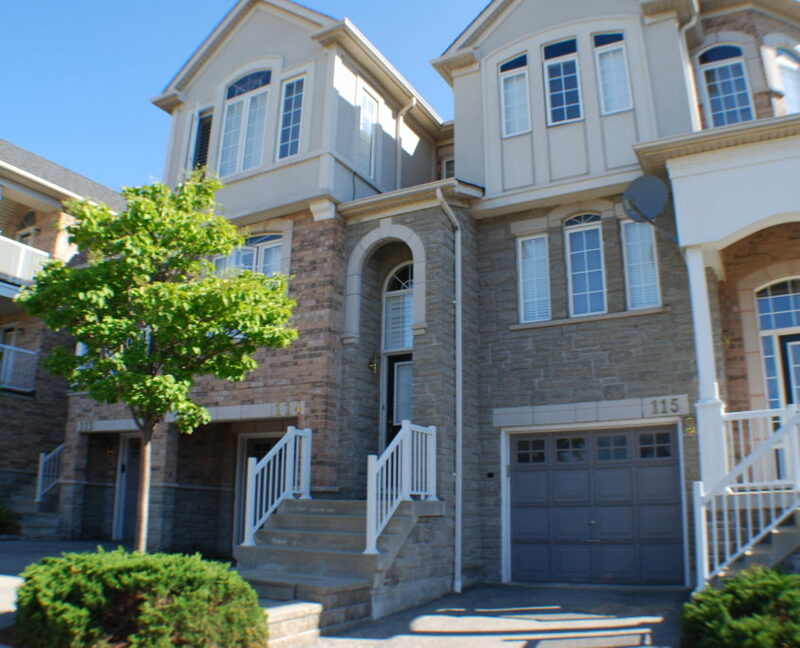 The are of Gordon Woods is one of Mississauga’s premier luxury neighbourhoods. 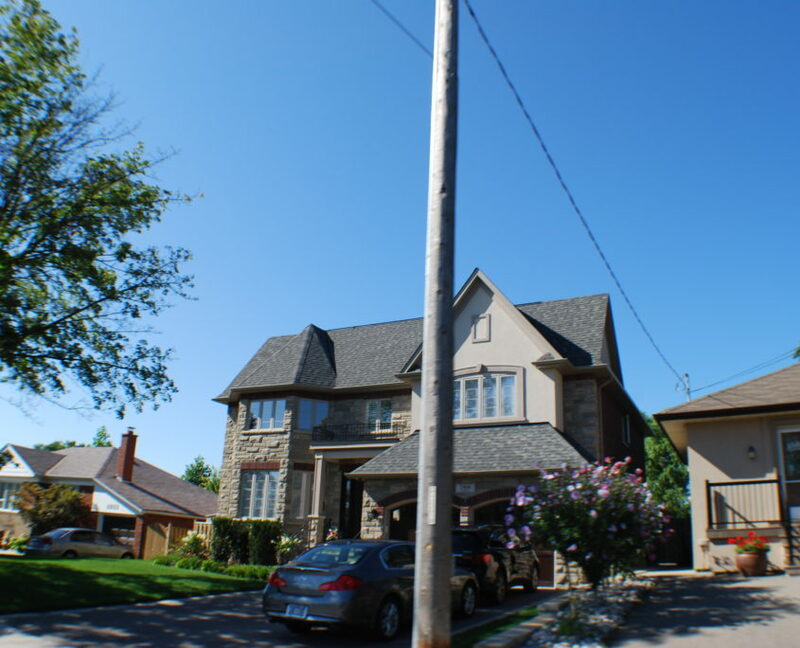 However, there has also been a boom in custom home builds east of Hurontario, south of Dundas and north of the Queensway. The entire area has wonderful access to greenspace, walking trails and parks. Much of Gordon Woods sits along the Credit River. Huron Park also boast an excellent recreation centre with all of the modern amenities arguably one of the best in the city. 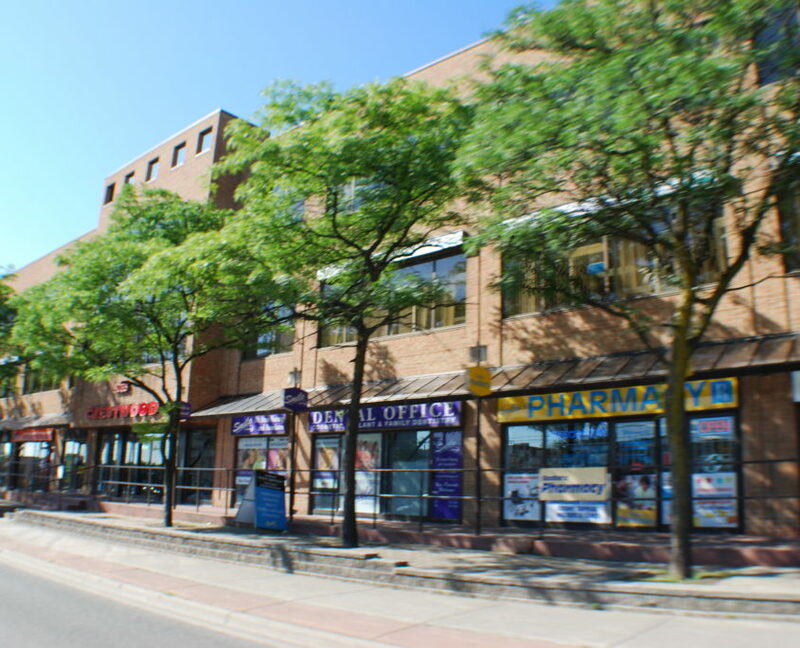 Though the neighbourhoods feel quiet and secluded, it is only a short car ride to all that Port Credit has to offer as well as Square One and major shopping complexes along Dundas St. The Mississauga Hospital is located in Cooksville, one of the areas largest health facilities. Though the are is close to the QEW, there is no direct access due to the Credit River. Getting out to Cooksville during the rush hour commute is not ideal. The traffic is particularly heavy along the major roads. 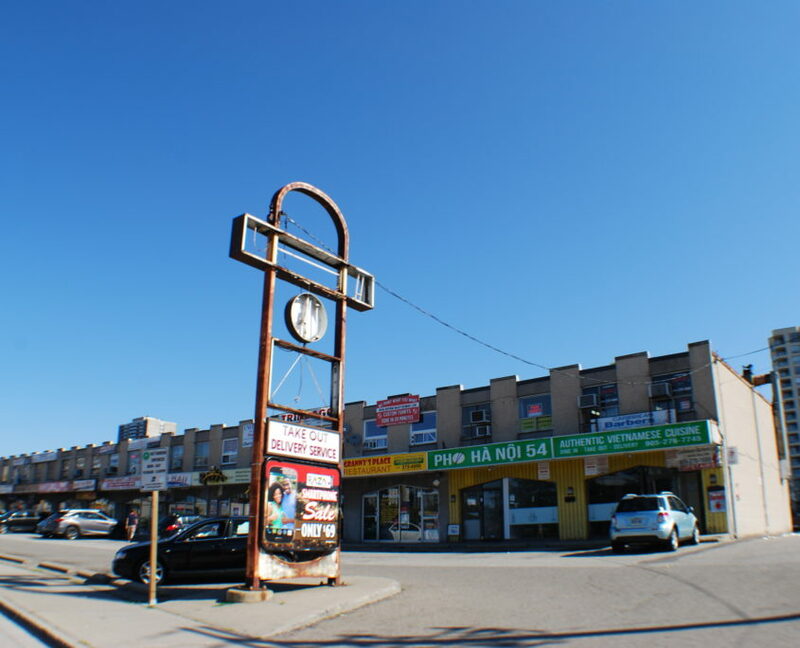 Cooksville is a real urban mix and not a traditional suburban neighbourhood. Dundas St is still not that visually pleasing, and the area around the Dundas and Hurontario is quite run down. 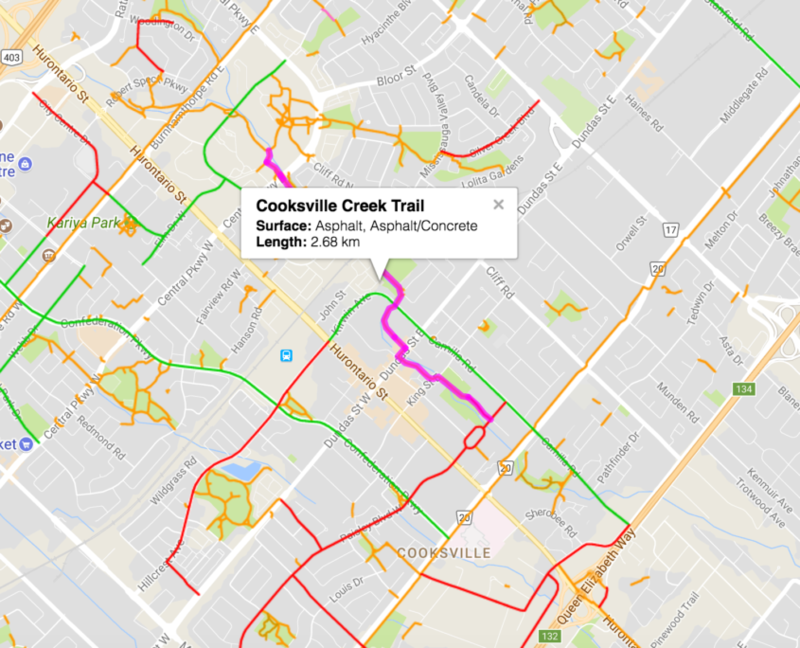 Cooksville is generally doesn’t come to mind when you think “parks & paths” in Mississauga, but there are a number of path systems and parks in the neighbourhood. 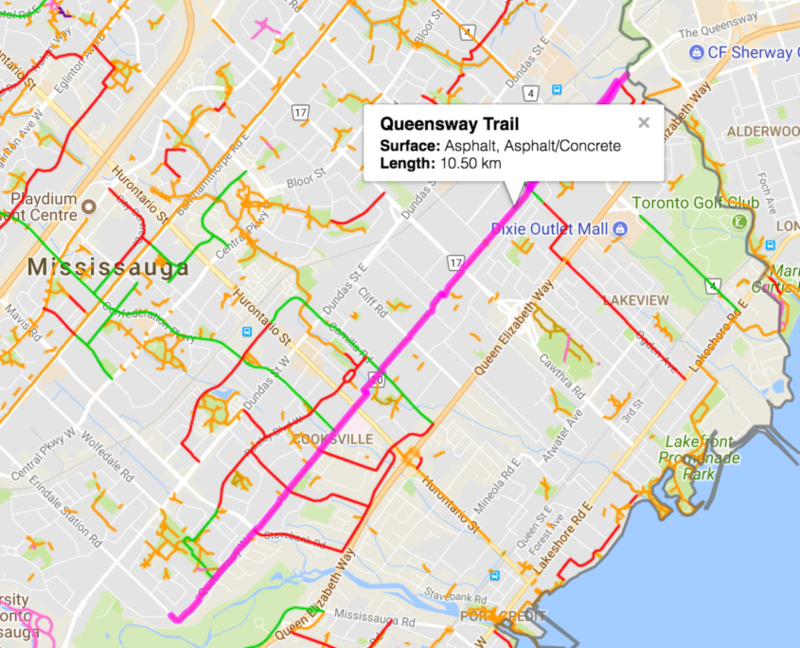 Both the Cooksville Creek Trail and the Queensway Trail cut through the neighbourhood giving residents good trails for walking and biking. The Brick Yard park is a newer park with good recreation facilities including a playground, baseball diamonds and soccer fields. 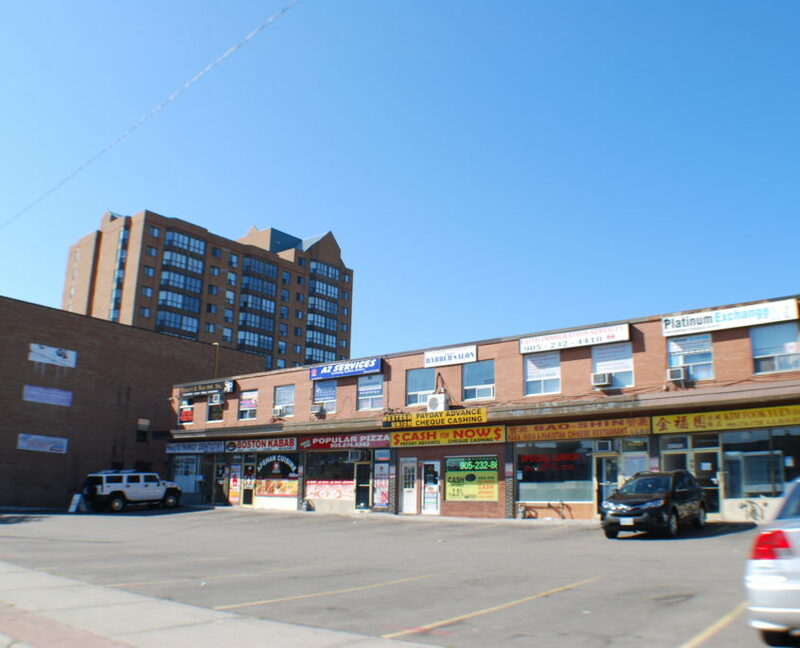 Cooksville has a high concentration of plazas, small shops and restaurants concentrated in the Hurontario and Dundas area. 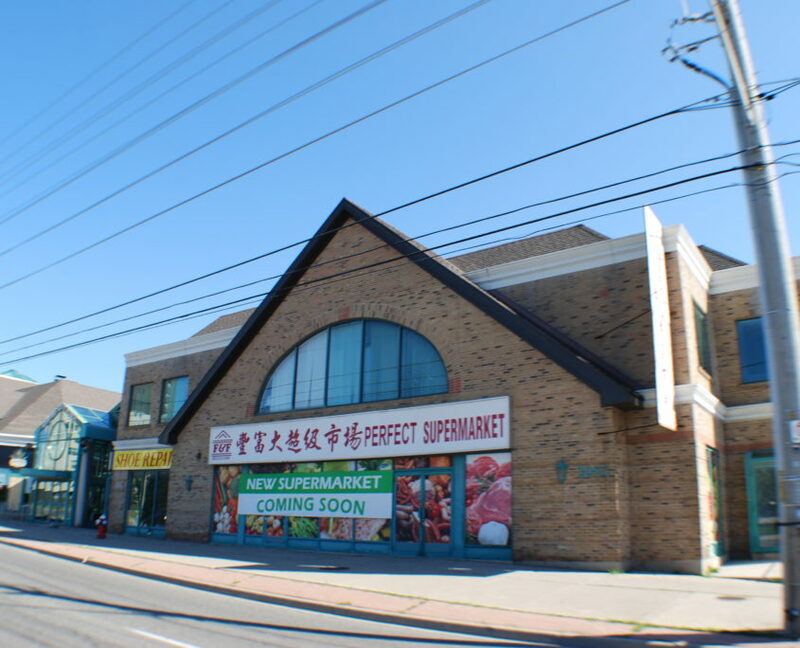 There is also a newer power centre located at Mavis and Dundas that has grocery, home improvement and other stores. East Huron Park and Gordon Woods attend Port Credit Public Secondary School, ranked in the top 25% of all Ontario Schools, and offers specialized regional programs in the arts and science. Paisley and Clayhill are the more affordable areas, especially east of Mavis or north of Dundas, mostly due to the large amount of semi-detached in these areas. 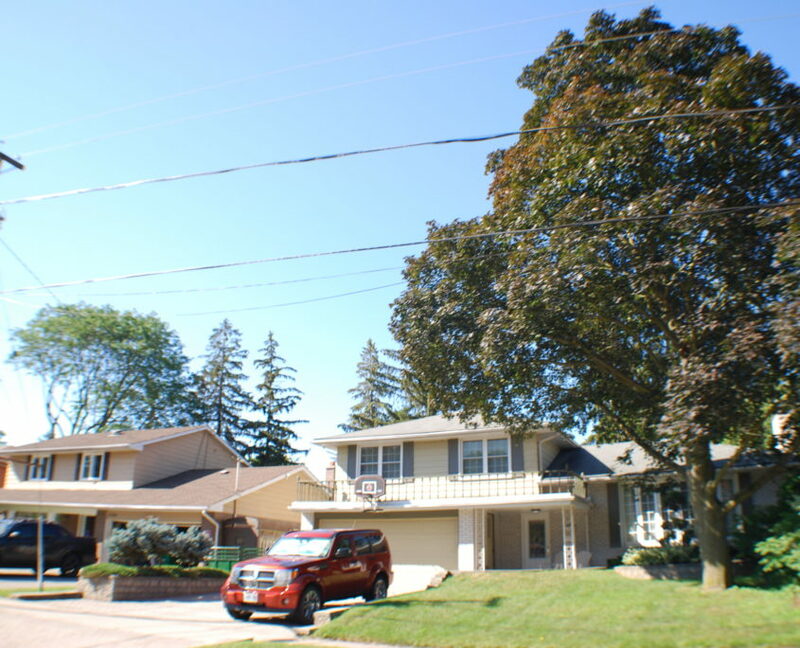 Older areas such as east Cooksville are in high demand due to their large lot sizes and are popular with investors and custom home builders. 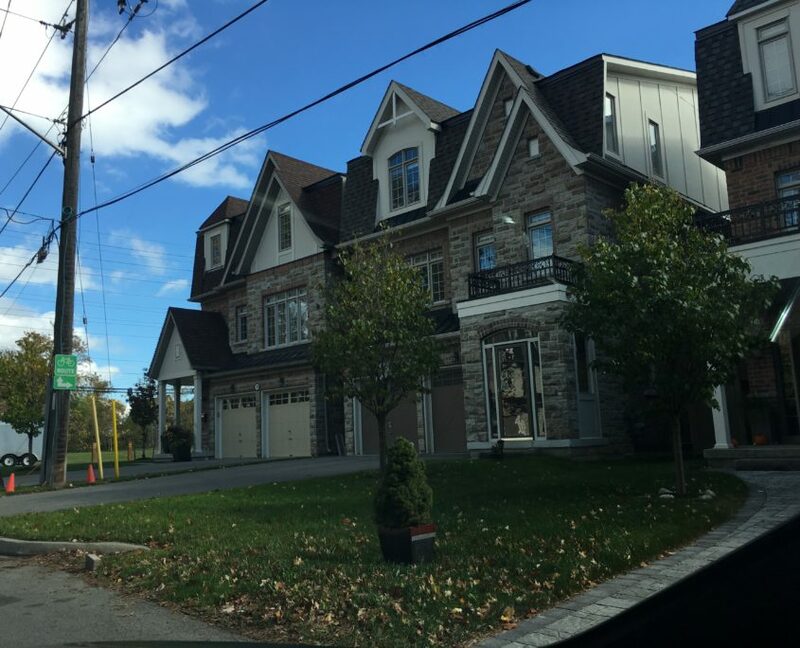 Gordon Woods, located south of the Queensway by the Mississauga Hospital is one of Mississauga’s most prestigious areas, so be prepared to spend in the millions for your dream home. There is very good value for the money, given the lifestyle and surroundings this area provides. 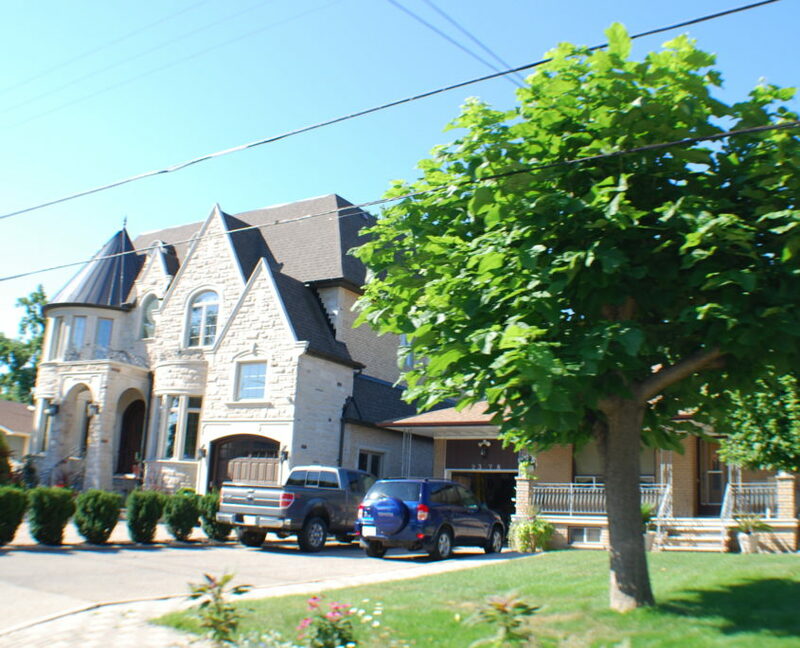 With the proximity to Port Credit, the secluded and stately streets, and respectable public schools, this area provides a lifestyle that is rare to find. If the proposed Mississauga LRT goes ahead as planned, the areas near Hurontario will directly benefit.